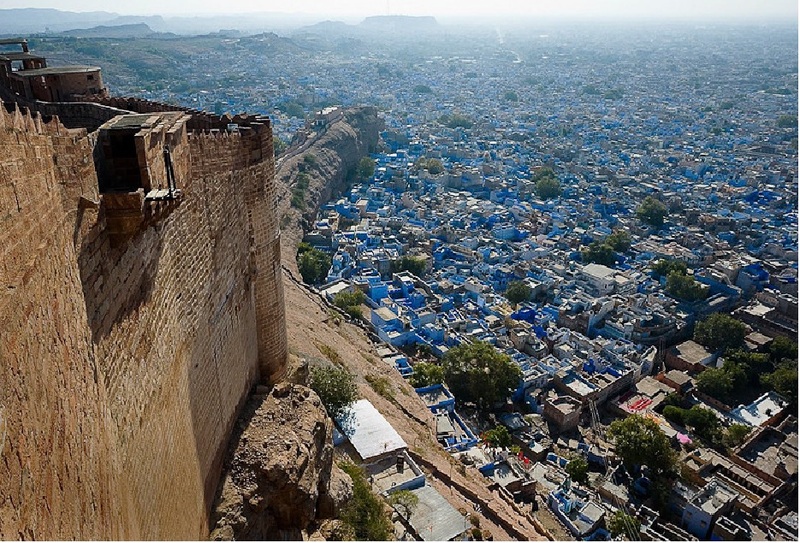 Jodhpur or the Blue city is the second largest city in the Thar Desert of the northwest Indian state of Rajasthan. 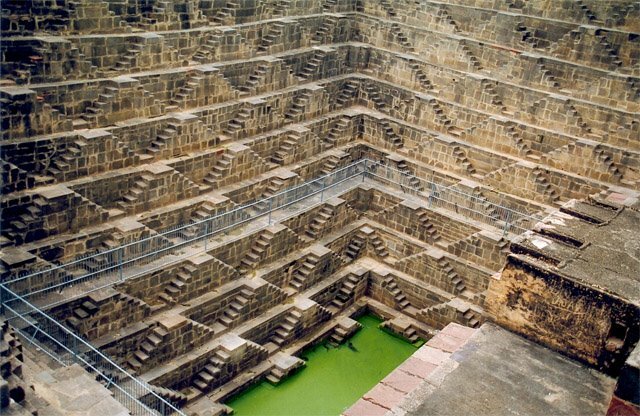 The city was founded in the year of 1459 by Rao Jodha of Rathore Clan. 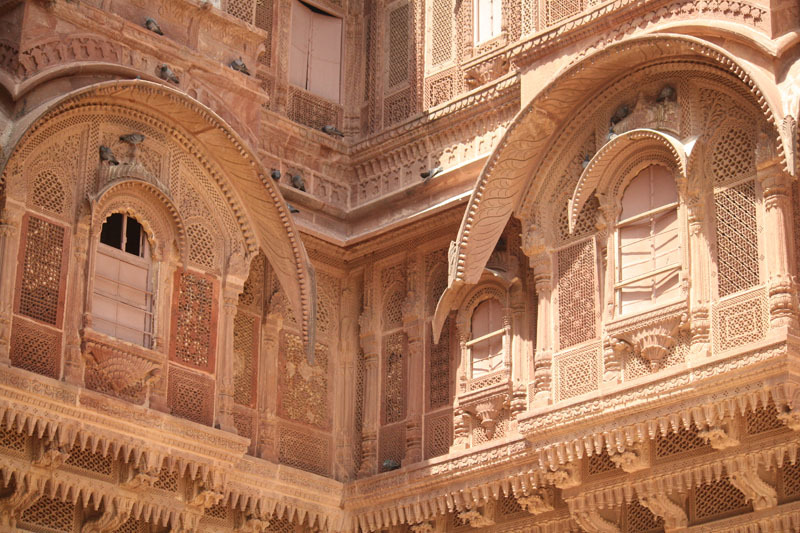 Also known as The land of Marwaris is famous for its magnificent forts and spectacular havelis and rich history. With forts, palaces, temples, and houses built in vivid shades of color blue ,the city awes with its grandeur. The Blue City really is blue! The reason might be, blue paint keeps the house cool from inside against the scorching heat of summers. Even if it may not be the reason why Jodhpur house are Blue, but the city looks quite gorgeous with its blue veil. The 14th century edifice – Mehrangarh fort which towers this magnificent city sum up to a spectacle which you will never want to miss. 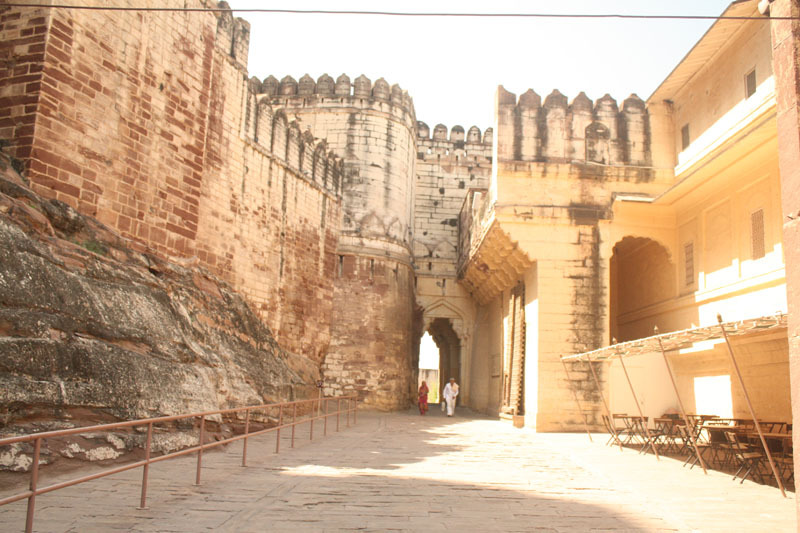 The Fort is enclosed by imposing red sandstone thick walls on all it’s side. It stands testimony to many battles and to the great valor of fallen soldier , defending it .The imprints of cannonballs hits on the high walls of second gate ,stands testimony to its relentless attacks faced by empire’s enemy armies . 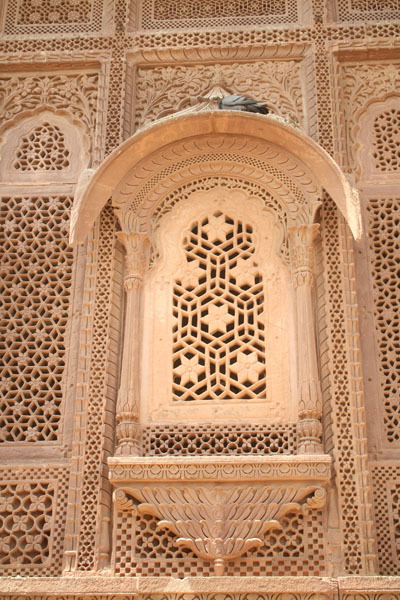 The boundaries of this Fort now houses several palaces known for their extreme intricate carvings and expansive courtyards. 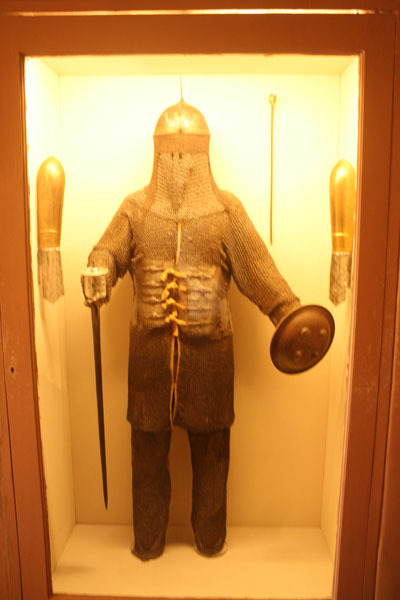 It also houses a small museum which shows glimpses of past glorious bygone era. 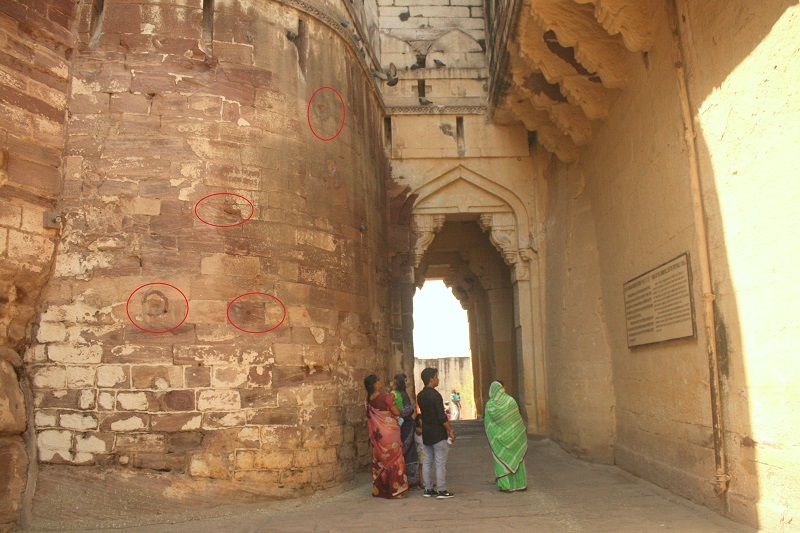 The imprints of cannonball hits on the wall , encircled. 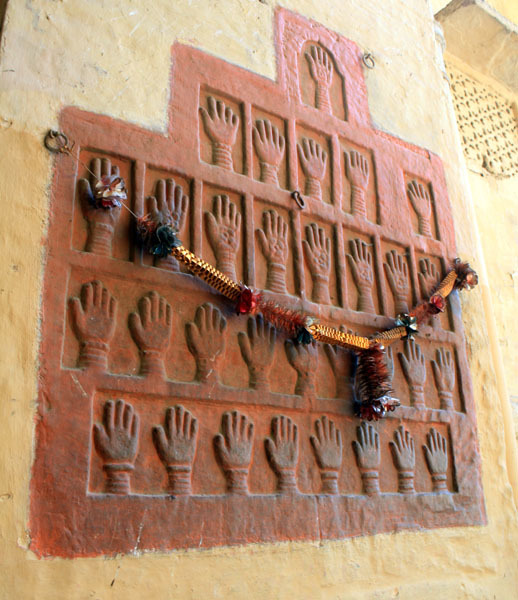 ‘Sati handprints’ of Fifteen Jodhpur queens who left their handprints before they immolated themselves on their husband Maharaja Man Singh’s , funeral pyre. Also known as Marks of Sati , these golden gilded handprints ,dates back to the 1843 AD. The remaining prints are from other queens who followed their deceased husband to their pyre. 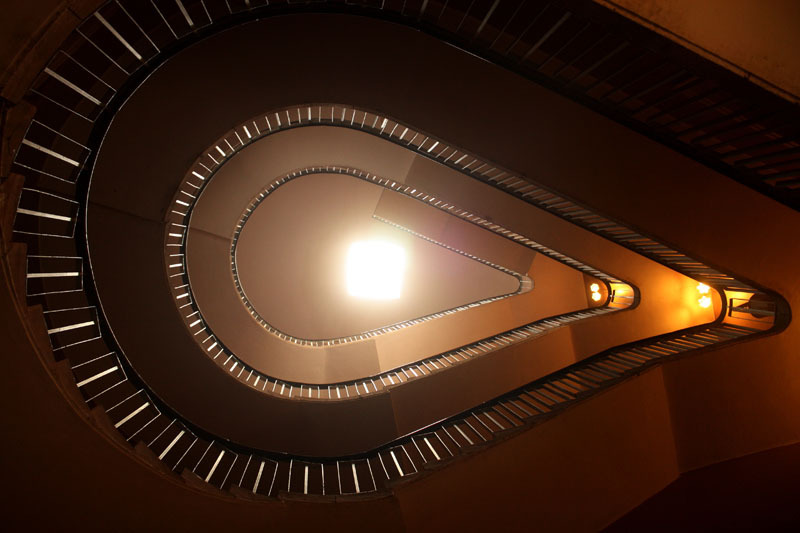 The winding staircase leading to the fort museum. Hopping out from the fort and stepping inside the city’s winding tangle of alleys you will find the glittering, medieval streets leads to the grand bazaars and shops, right in the city center.These bazaars are known for its treasure troves of tie-and-dye textiles, embroidered leather shoes, antiques, carpets, and puppets. If you are interested for buying out stuffs or souvenirs ,it is this place where you can get a great bargain on all items . 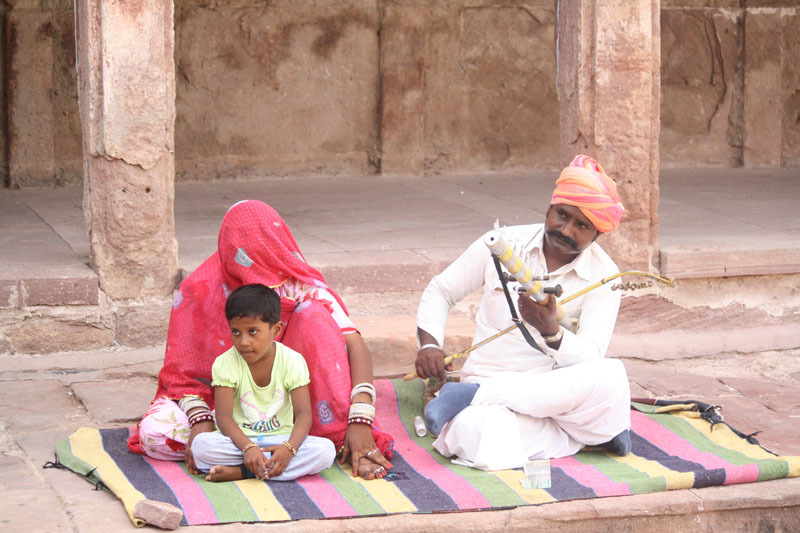 Jodhpur is also known as the ‘Sun City’ thanks to the bright weather, welcomes tourists from around the world , round the year .But to enjoy Jodhpur’s outdoors like a local and to experience it’s culture, local hospitality and delicious cuisines one needs to avoid the Indian Summers months of May till July. 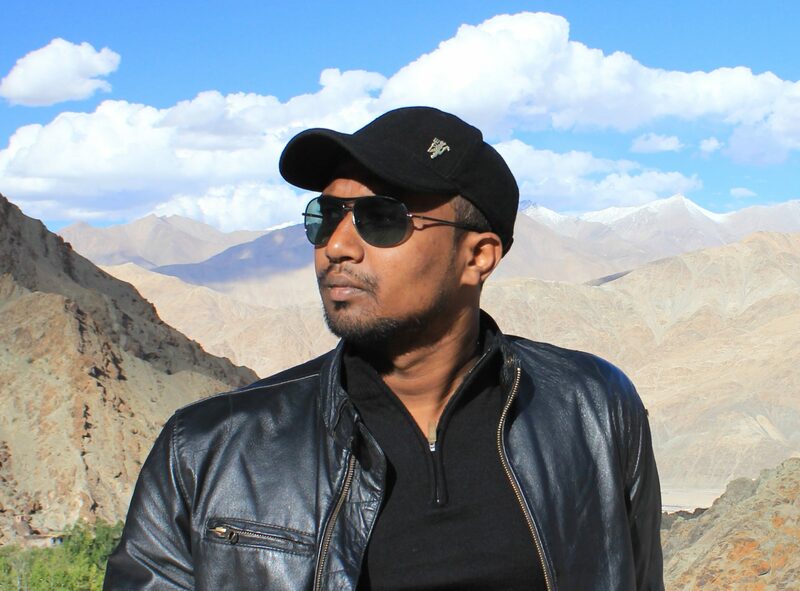 It is this time of the year ,the day’s temperature soars to a whopping 45 degrees, turning the daytime too hot and dry to be braved for .Better than tanning yourself it is advisable to take an easy trip during the touristy season starting from November till late February . 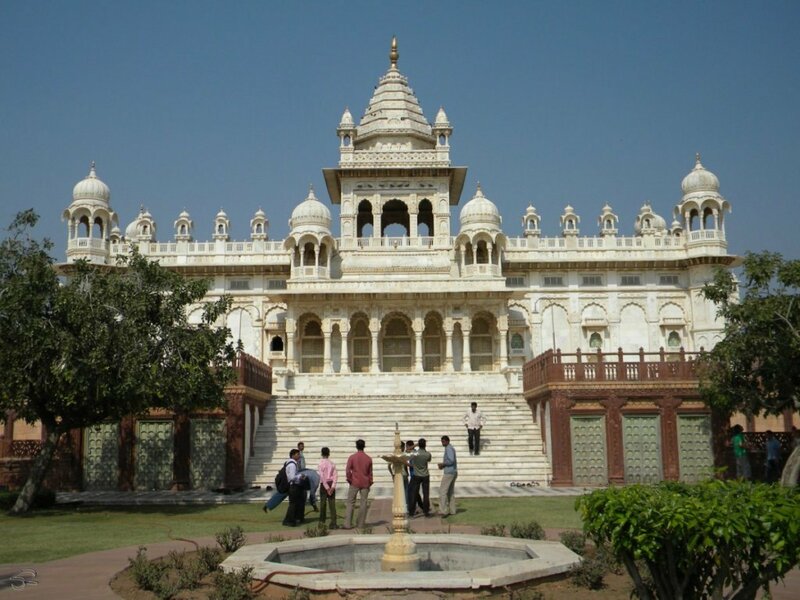 It is one of the world’s largest private residences and a part of this palace is now managed by Taj group of hotels. 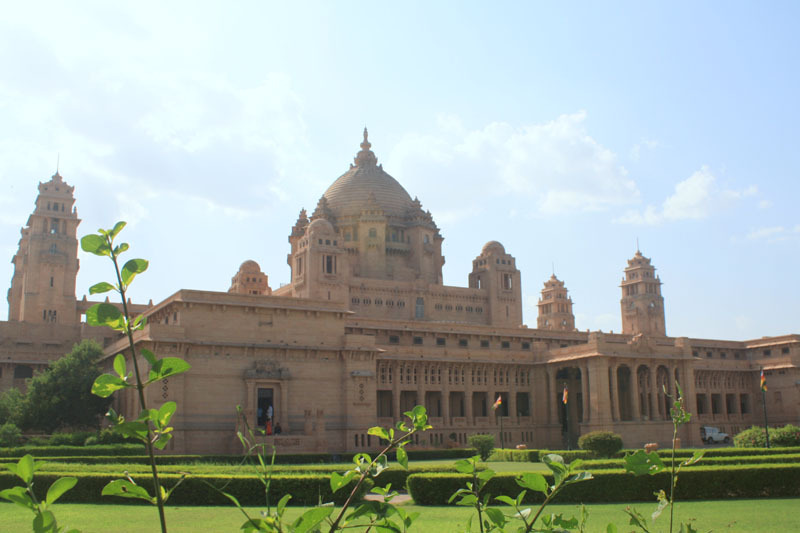 The palace is named after then Maharaja ,Umaid Singh, who was grandfather to present owner Gaj Singh .This imposing building has a total of 345 rooms and primarily serves as the principal residence of present Jodhpur royal family. 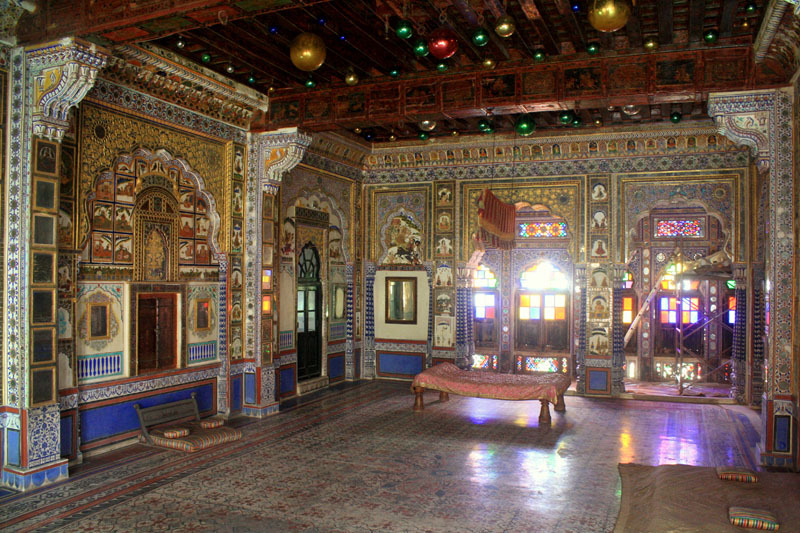 A part of the palace also houses a museum which contain a grand replica of this palace. Distance of Jodhpur city from New Delhi is 600+km.Distance of Jodhpur from Rajasthan Capital city , Jaipur is a mere 340km. One can find sufficient and cheap taxi services providing pick up and drop facilities ,going to Jodhpur city from the Jaipur Airport/Railway station . 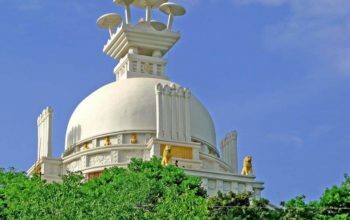 By Air Jet airways fly daily schedule flights from Delhi and Mumbai International airports to the Jaipur airport. 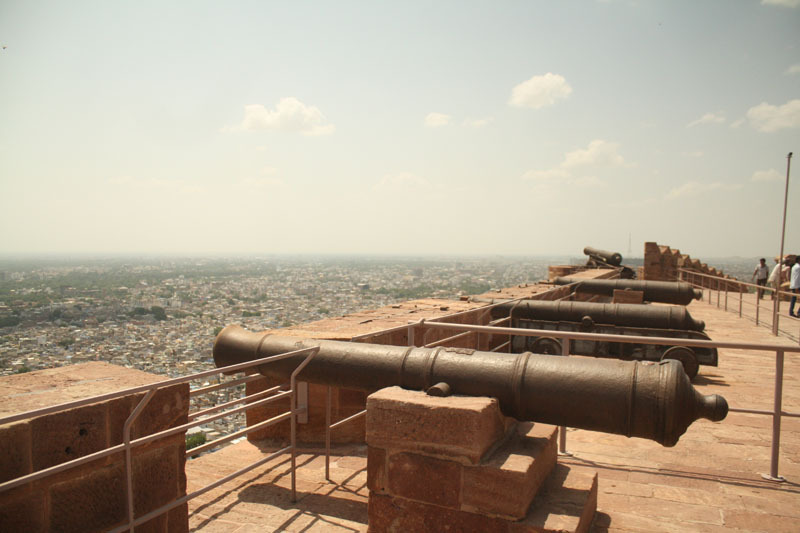 October marks the onset of peak season in Jodhpur with the weather turning pleasant. 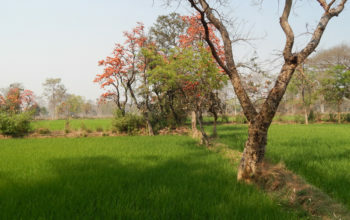 It begins with the onset of the winter season in Indian peninsula when the average temperature remains low making it favorable for a visit till end of February. A tip for family travellers – Do carry lots of water and a good pair of Googles and Hat to protect yourself your getting extra tanned . 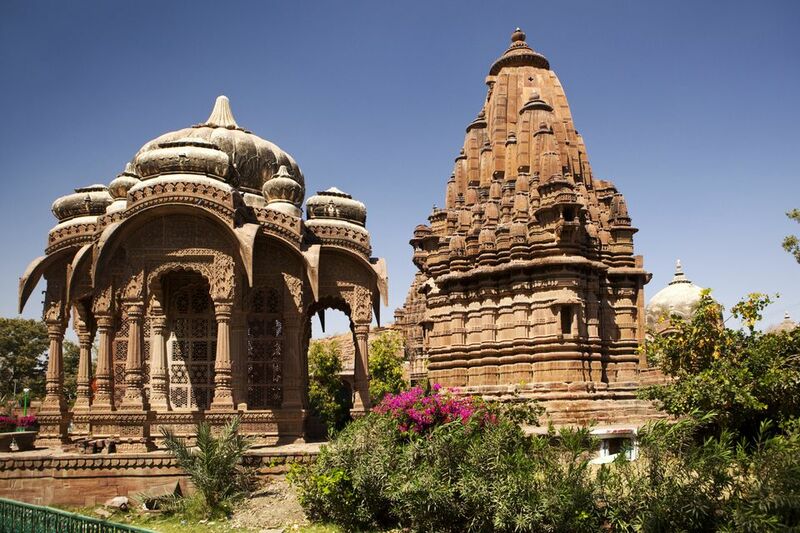 Jodhpur has a number of hotels and guest houses for the accommodation of vacationers and travelers alike .Whether you’re seeking extravagant or budget accommodation. These hotels are well-equipped with contemporary and luxury amenities. 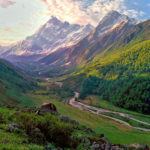 Staying at heritage hotels is also a good option if you want to pamper yourself with lavishness and luxury.I booked through Goibibo or Make my Trip website where I fetched huge discounts on Hotel accommodation. 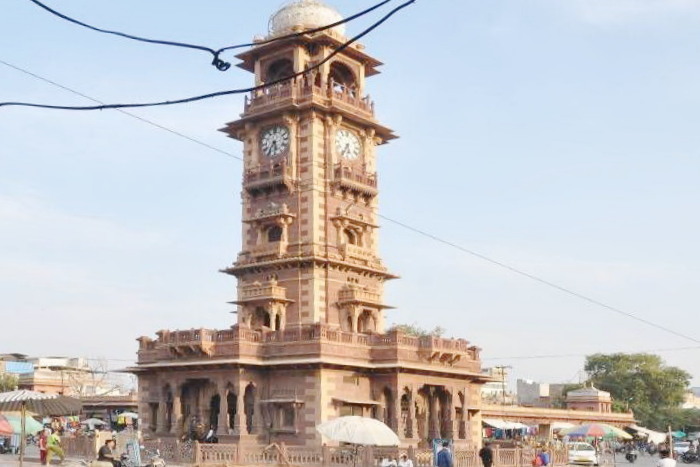 The road Nai Sarak (or New Street) that leads to the clock tower and towards the main market is the center of all activity in Jodhpur. 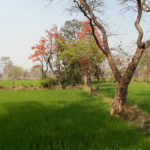 Sample ghevar, a sort of Rajasthani delicacy and pyaaz/onion ki kachori at the famous Janata Sweets or perhaps eat the thick Makhaniya Lassi at Mishralal Hotel just around the corner from the clock tower.